Dip recipes range from your standard sour cream and chive to a complicated seven-layer Mediterranean dip. Truly, there must be thousands and thousands of dip recipe possibilities. Where to begin when you want to learn how to make dip? The following list of tips is meant to inspire you to make dip and to give you invaluable advice when making dip. Right now, I have 39 how-to-make-dip tips, but this will grow as the Saucy Dipper repertoire grows. Check back often to learn more. 1. We’re all used to party dips, but an average Sunday afternoon or an appetizer-themed dinner works too. Go dip crazy! 2. Most dips start with a dairy base such as sour cream, yogurt, or cream cheese, but it doesn’t have to be this way. Consider a dairy-free dip. 3. Presentation matters. A dip can sometimes look gloppy and smooshie. A pretty bowl and thoughtful dippers can make a dip look appetizing…like this dirty martini dip. 4. Friends are made at dip parties. 5. 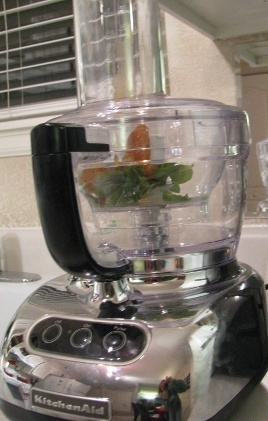 A hand blender and a food processor will make dip making SO much easier. 6. If calories are a concern, give yourself a few tablespoons of dip and the recommended number of dippers for a full serving. It’s very easy to over indulge when you’re pulling straight from the bag. 7. When making a complicated dip, salt as you go. If you wait to the end and you add too much salt, then you’ve blown the whole thing. Work slow. 8. 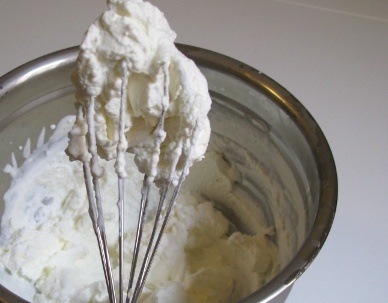 If making whipped cream to add to a dip, be careful not to over whip. I learned from a reader that once you have pretty ridges and peaks that you have to stop whipping or you’ll face separation. 9. Learn the different types of beans and keep a few on hand. You never know when you’ll need to whip up a bean dip. Oh, and be sure you know the difference between fava and lima beans. Those two are especially tricky. 10. Dried beans almost always taste better than beans from a can, especially the chickpeas you’ll need for hummus dip. 11. Warm dips can be kept warm in a slow cooker, gravy warmer, or a fondue pot. 12. If you only learn to make one dip, let it be buffalo chicken dip. Seriously, everyone loves it. 13. Don’t doubt that yogurt can replace sour cream effectively. I made a yogurt-based potato chip dip and even the guys at the party liked it better. 14. Garlic cooks fast. If you’re sweating or simmering a number of vegetables for your dip, throw in the garlic last. 15. Every guacamole dip needs avocado, tomato, onion, and garlic, but otherwise you can add anything your heart desires. Go nuts. 16. The smell of garlic will stick to your fingertips…for days. After handling, wet your hands in soap and water and then rub a piece of stainless steel (like the dull side of a large knife). This should do the trick. 17. Fruit dips are ideal dessert dips and breakfast dips. Serve the dip with sliced fruit and toothpicks. Keep your fruit from browning by sprinkling lemon juice over the fruit. 18. About that lemon juice…if you make sauces and dips often, keep a lemon on hand always. So many recipes call for lemon juice. 19. Don’t put your finger in a blender. 20. 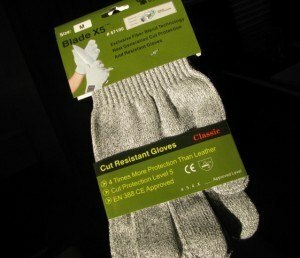 Remember your cut-resistant gloves. 21. Adults love pizza dip about as much as kids do. Remember this the next time you have an all ages get-together. Pizza dip works well on pasta, bagels, and so much more. 22. Speaking of multi-purpose dips, some dips (like this Reuben dip) work well as both a dip and in-between bread as a sandwich. 23. Explore different cultures. You’ll find a dip recipe from every region of the world that will change up your diet for the better. 24. Unless you add tuna fish to a tapenade recipe, you don’t need to put any soft cheese in the mix. 25. Most cold dips will taste better after an hour in the fridge. 26. Do what your mom tells you to do. That means making the shrimp butter recipe she sends you. 27. When in doubt, think incredibly simple. A three-ingredient dip can be quite good. Try this easy Mexican dip. 28. 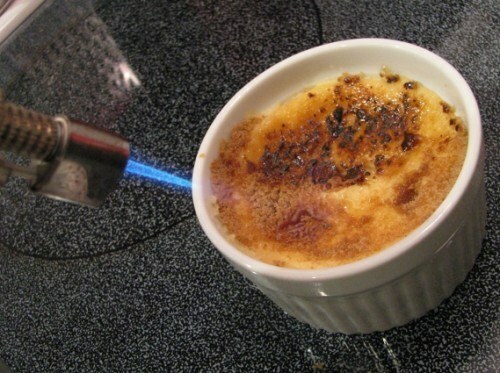 Use a blow torch in the kitchen. It’s more fun that way. 29. Dips allow you to clean out your fridge. Use up those condiments already! Jams, mustards, seasonings, cheeses, dressings, store-bought sauces, and even Miracle Whip can be a welcomed ingredient to a dip. Get creative. 30. You cannot go wrong with a fruit salsa. Choose any fruit for your base, and then add a jalapeno and lemon juice. With these three ingredients you’re pretty much there. Check out this strawberry and yellow pepper salsa. 31. Chopping up a jalapeno or other hot pepper could make your fingers burn…bad. To prevent the discomfort wear gloves. If you forget to wear gloves (like I usually do), try rubbing vegetable oil on your fingertips to ease the burn. 32. When you are learning how to make dip don’t overlook spreads. Spreads can be considered a dip, too. At least I think so. Spreads include butters, jams, and more. 33. 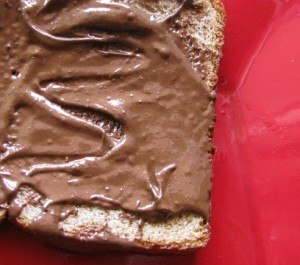 If you burn your almonds when making almond butter, just add chocolate. 34. A simple potato chip dip recipe is easy enough, but get creative with your fresh spices. They go a long way. I particularly like the Peruvian Aji Amarillo to spice up my potato chip dip. 35. Know the power peanut butter holds in a fruit dip. It’s monumental. 36. Pimento cheese dip is a long-standing traditional food in many parts of the United States. If you’re learning how to make dip, learn to make this one. 37. Be careful not to overfill the blender or food processor with your dip. If you do, you’ll have one crazy mess on your hands. Those fill lines are there for a reason. 38. 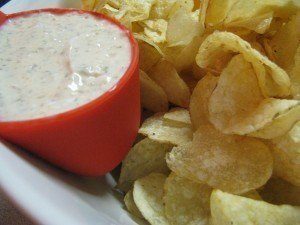 Potato chips and tortilla chips may be the best dippers ever, but there’s actually a whole long list of possible dippers. 39. Don’t settle on on store bought dippers. You can make your own. Try cutting up tortilla and toasting, make your own crackers, or bake some bread. There are dipping options galore. 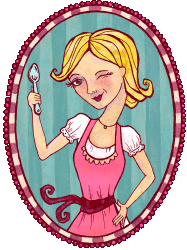 I'm Sara Lancaster, the editor of the Saucy Dipper, a true sauce and dip enthusiast site. I'm also the business brains behind The Condiment Marketing Co., which helps specialty food companies look BIG on the web. Here you'll find product features, recipes, and more. Sauce and dip news from the Saucy Dipper. Subscribe today.